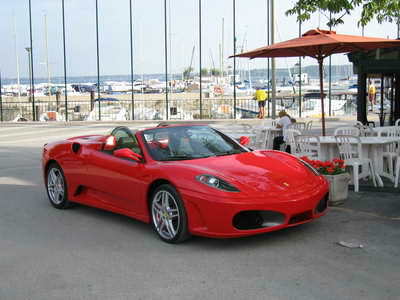 Thinking about driving to Lake Garda? Well you are not alone! This month we take a look at why driving from the UK and main land Europe is becoming a more popular way to get to Lake Garda and why it is such a great option. Well for a start "budget flights" are no longer as "budget" as they used to be!! While the headline flight prices seem to be reasonable, by the time all the taxes and charges are added in, they are no where near as cheap as they used to be. Especially if you are a family or bigger group, flying is not necessarily the cheapest way to get to Lake Garda anymore; for the more adventurous driving becomes ever more appealing. I don't know if you are like us, but we find it quite frustrating getting charged extra for everything when you fly with budget airlines now! Extra for luggage, extra for checking in, extra for every person flying you pay with a credit card, even though it is only one transaction! There are even mutings about one airline charging to use the toilets... whatever next!!! Also airports are not fun places to be anymore, with extra security and long queues often added to the stress of flying. Getting to the airport and parking your car there also can add quite a cost to the holiday. So when we thought about going to Lake Garda this time, we decided we'd give driving a go! We booked well ahead for the ferry to France and it only cost £40. Obviously we have to pay for the fuel to get there, but having a car when we get there means no rental car to worry about in Italy. So on balance driving works out as a good option and give us total flexibility and a great chance to explore! 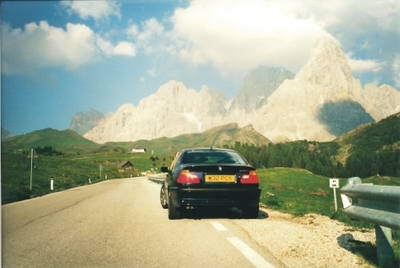 We are driving from the UK to Lake Garda next month and we are really excited about the trip to and from Italy. If you are going from the UK in particular, there are loads of fantastic options for scenic routes to get there. 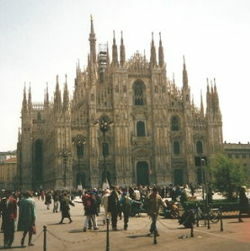 Which ever way you go there is the opportunity to experience different countries and stop at great landmarks. You will also be guaranteed some spectacular scenery in the later stages of your drive as you journey through the mountains and down into Italy. You can drive through France, Germany, Belgium, Luxembourg, Switzerland and Austria or come in from Eastern Europe, perhaps through Croatia, Czech Republic, Slovenia or many more countries. The options are endless, really, and we love taking different routes each time so we can discover new places en-route. This time we decided to take it really leisurely (partly because we have 2 small children), but also so we can stop and wander around places or go off the beaten track a bit with the car. Taking 3 days means we only have to drive for around 5 hours a day, so we've loads of time for exploring. On the way down we plan to take a while going through the stunning mountain scenery in Austria, while on the way back we are going to meander around the dramatic Italian dolomites (spending a night in the heart of each area to really soak up the experience). These are just some of the more major places we have visited on our drives through to Italy. There are many more smaller and less well known, but equally stunning places to see. Particularly once you get to the Alps, the choice is endless and quite frankly it would be difficult to miss some great scenery! If you really enjoy the outdoors it may be worth staying a night or two in this area on the way through. There are some fantastic Alpine-style accommodations in the mountains, many of which are surprisingly reasonable given their beautiful locations. One thing to bear in mind when planning your route is to find out if there are any major road tolls on the way. In France, for example, most of the major motorways have tolls, whereas in Germany they don't. Switzerland charges a one-off fee, which is OK if you want to travel around quite a bit there, but if you only want to cut through briefly this may not be worth the cost. 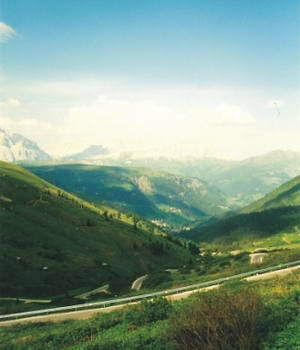 Mountain passes can often attract a toll, but many are very spectacular and, in our opinion, well worth the money. Most of the Autostrada in Italy has tolls, but often they are way quicker than going off the main roads. Overall with careful planning road tolls can be kept to quite a reasonable level, but it definitely pays to do your homework before you set off. I know for some of you flying is still going to be your preferred way to get to Lake Garda. Some people just don't enjoy the long drive or simply may not have the extra time available to do this. For those of you who still want to fly but would like to have the freedom of your own car in Italy, then don't forget we have discovered a great car hire website for comparing all the car hire companies against your car rental requirements in one easy go! The most important Italian wine fair has been taking place at Verona for more than 40 years. Renowned wine producers present new technologies, products and trends. The fair is hosted at Verona trade fair. At the end of April the Riva del Garda Sympatex Bike Festival takes place. It offers tours, exhibitions and presentations, all connected with cycling. There are, of course, all the usual markets that are definitely worth going to. To find out more about when and where they are, click here. 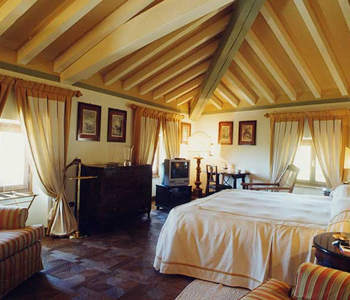 The Hotel Locanda San Verolo is a beautiful old farm house dating back to the 16th century located in the village of San Verolo which is just a few minutes drive from the town of Garda. The hotel offers its guests a warm and personal welcome and offers spacious bedrooms, a large garden, a swimming pool, a meeting room, a restaurant and a bar - everything for a perfect holiday! Take a look at the photo and click on the link below to see loads more info & photos! Whether you're from the UK or somewhere in Europe, if you've never driven to Lake Garda before, then we really recommend you try it sometime! 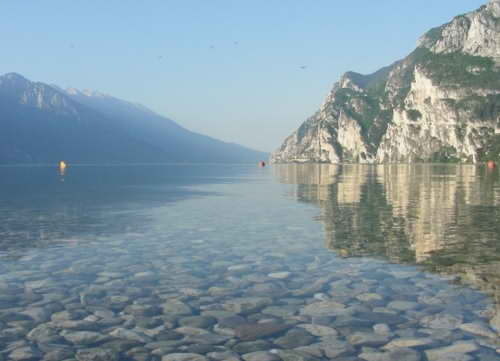 However which ever way you decide to go to Lake Garda, have a fantastic time! We can't wait to get back there again, it is such an amazing place! !